FARO Technologies is out with the new and improved CAD Zone Release 10 software suite. The software has updated versions of Crime Zone, Crash Zone, Fire Zone, and Insurance Zone. CAD Zone software is noted for its ease of use and powerful drawing, analysis, and animation tools. These software offerings enable the creation of courtroom-ready 2D and 3D drawings and animations from scanner data, point cloud data, total station data, and manual measurements. For over 20 years FARO CAD Zone products have been the easiest and most accurate diagramming programs in the public safety market. The Release 10 versions include even more realistic 3D graphics and faster rendering. Also included in the new releases are significant performance and feature improvements, which have been developed to help public safety customers automate their workflows. 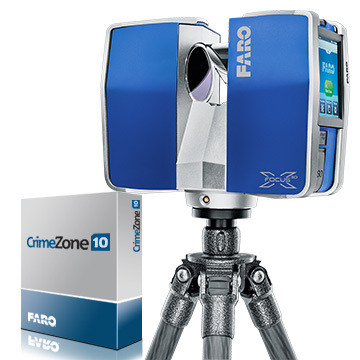 To get more information on CAD Zone Suite 10, view new videos, purchase a license or request a demonstration, visit www.faro.com. CAD Zone Suite 10 is ready for shipment.